Annual market report shows a healthy wind energy industry delivered record US jobs, $1 billion in rural community and state payments last year. The American wind power industry emerged from 2018 stronger than ever, now able to power 30 million American homes after 8 percent capacity growth last year. 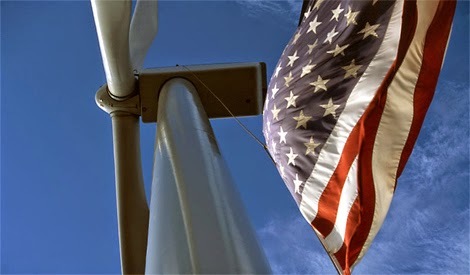 The newly released U.S. Wind Industry Annual Market Report, Year Ending 2018 reveals that U.S. wind turbines supports a record 114,000 American jobs, over 500 domestic factories, and more than $1 billion a year in revenue for states and communities that host wind farms. American Wind Energy Association (AWEA) leaders announced the news at the Greater Houston Partnership, the chamber of commerce for the nation’s energy capitol. Wind power is big business for Texas, which ranked first for installed wind power capacity and wind jobs last year. In Texas and across the nation, Fortune 500 brands and utilities alike purchased a record amount of new wind energy last year through long-term contracts, contributing to a record pipeline of wind capacity under construction or advanced stages of development. There are wind farms or factories supplying the industry in all 50 states, but no state exemplifies these trends better than Texas. The Lone Star State is home to roughly a quarter of all U.S. wind power capacity. If Texas were a country, it would rank fifth in the world for wind power capacity with nearly 25,000 megawatts (MW) installed. And with nearly 7,000 MW of additional wind projects under construction or in advanced development at the end of 2018, Texas is adding more wind than all but two other states currently have installed. Texas’s leadership in wind capacity means it also leads in wind industry jobs and investment. Texas is the top state for direct and indirect wind industry jobs, with more than 25,000 Texans working in the industry. Wind farms in Texas have drawn over $46 billion in total capital investment to date and pay approximately $307 million each year in landowner payments plus state and local taxes. Wind farms pay $1.05 billion a year through state and local taxes plus lease payments to landowners, the most complete picture yet of the value wind farms pay into rural communities. To arrive at $1 billion, AWEA quantified the never-before reported $761 million a year paid by wind farms in state and local taxes that help communities improve their school systems, fix roads and fund emergency services. An additional $289 million a year in wind farm land lease payments serve as a valuable drought-proof cash crop for American farmers and ranchers that can help keep a farm in the family. Most of these revenues go to rural areas, where 99 percent of America’s wind generating capacity can be found. Wind power is contributing to a boom in American renewable energy jobs: wind turbine service technician is the second fastest growing job in the U.S. after solar installer, according to the Bureau of Labor Statistics. The U.S. added 8,500 wind power jobs last year, including well-paying jobs in wind turbine service, construction, engineering and manufacturing. Veterans are hired for many of these jobs, at a rate that is 67 percent higher than the national average, because America’s servicemembers have the skills needed to operate rugged machinery in the field under tough conditions to keep energy reliably flowing to homes and businesses. There are also 24,000 manufacturing jobs found at over 500 U.S. factories supplying the wind industry. Demand for American wind power is greater than ever before. Last year, non-utility buyers, including Fortune 500 brands, cities, and universities signed long-term contracts for a total of 4,203 MW—a 66 percent increase on the previous record set in 2015. To put that in perspective, cumulative non-utility wind purchases now exceed 11,300 MW, more than all the wind farms built to date in Iowa, America’s number two state for wind power. Utilities also contracted over 4,300 MW of wind power last year – seeking consumer savings by adding the low cost, reliable resource to their generation mix. Texas is the nexus for non-utility demand for wind power. At this time, 38 companies have purchased or committed to buy 4,900 MW of wind energy in Texas, including Fortune 500 brands like AT&T, Budweiser, Walmart, ExxonMobil, and Shell Energy. Wind even helps power other Texas energy industries; ExxonMobil purchased wind power to cost-effectively supply their Permian Basin operations. Major brands and utilities are buying record amounts of wind energy in large part because its low cost is good for the bottom line. The stable price of wind power protects against future fuel price spikes, which aids long-term business planning. The cost of wind has fallen by more than two-thirds since 2009, and wind is now the least expensive source for new electricity generation. Strong consumer demand is another incentive. According to a recent Yale poll, more than half of Americans say they are more likely to buy goods and services from companies that have committed to using 100 percent clean, renewable energy, compared to just 5 percent who say they are less likely to buy from such companies. U.S. wind power capacity increased 8 percent in 2018 to 96,433 MW of cumulative installed wind capacity—more than double the capacity the U.S. had in 2010. The U.S. now has enough installed wind capacity to power over 30 million American homes. Wind projects installed in 2018 alone represent more than $12 billion in new private investment. Wind energy now reliably delivers over 20 percent of the electricity produced in six states: Kansas, Iowa, Oklahoma, North Dakota, South Dakota, and Maine. In 2018, wind turbines generated 6.5% of all the electricity delivered to U.S. consumers. Looking ahead, the wind industry has a record amount of generation set to come on line in the near future with 35,135 MW of wind power capacity either under construction or in advanced development across 31 states. Upon completion of these construction projects, the U.S. will have enough installed wind capacity to power 42 million American homes. 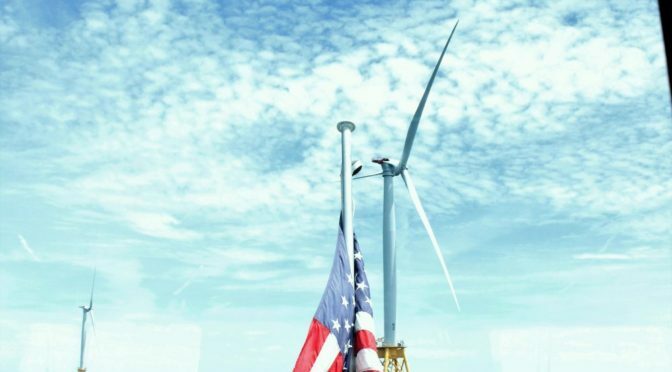 America’s offshore wind sector is also poised to rapidly scale up from a single, 30 MW project currently installed to six offshore wind projects totaling 2,101 MW that project developers expect to be operational by 2023. Improving project economics and robust state policies led to a surge in offshore wind activity in 2018. At the end of the year, project developers had a potential offshore wind pipeline of over 25,500 MW. 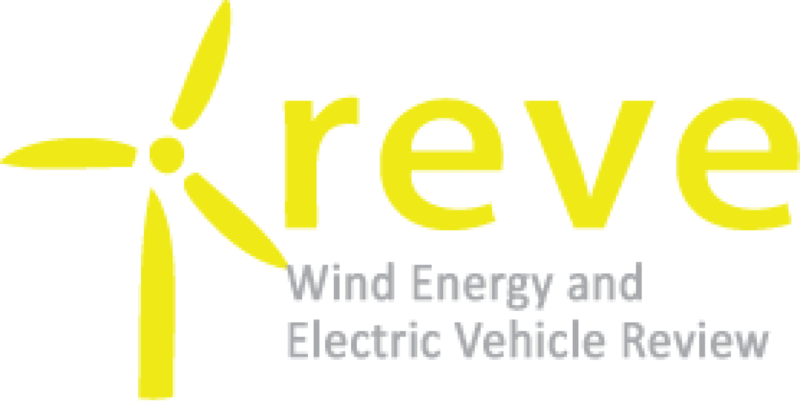 The best opportunity to learn more about wind power and other 21st Century energy technologies is coming next month when AWEA returns to Houston, May 20-23, for the WINDPOWER Conference and Exhibition, the Western Hemisphere’s largest gathering of the people and technology driving wind power trends. WINDPOWER is where the vision and business deals that will drive the future of the wind industry happen.